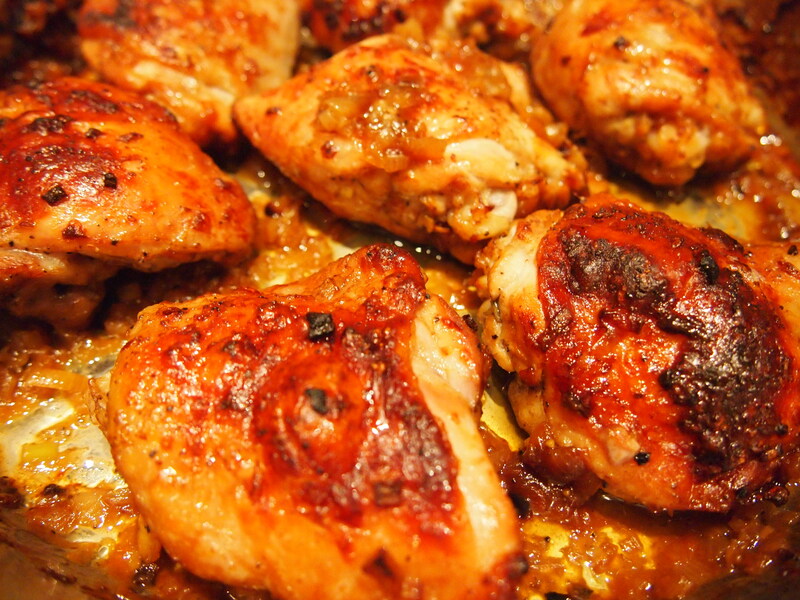 This baked chicken dish from David Lebovitz is so much greater than the sum of it’s parts. You would never guess from the short ingredient list that the finished dish could be so tasty and complex and for such little effort. In 45 minutes dinner is on the table and better still there’s only one dish to wash up. According to David, soy sauce is an often used ingredient in French cooking. I’ve even heard it said that the secret ingredient to those salad dressings one eats in Paris but can never quite recreate at home is soy sauce – who knew! Preheat oven to 220C. 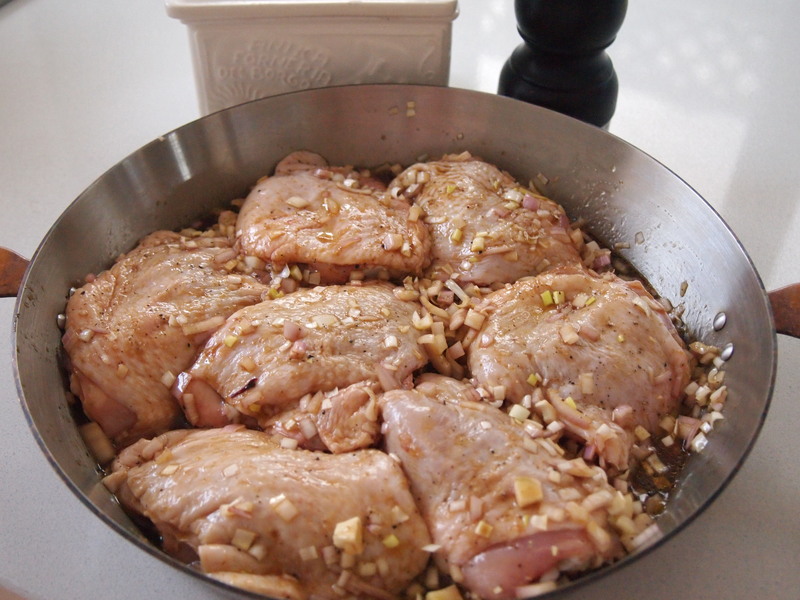 Season the chicken pieces with salt and pepper and place them in a roasting or baking dish that will hold them snuggly in one layer. In a small bowl mix together the olive oil, vinegar and soy sauce. Pour the mixture over the chicken and add the shallots. Using your hands mix the chicken pieces and the sauce together. Spread them evenly in the pan, skin side up and bake for 20 minutes. 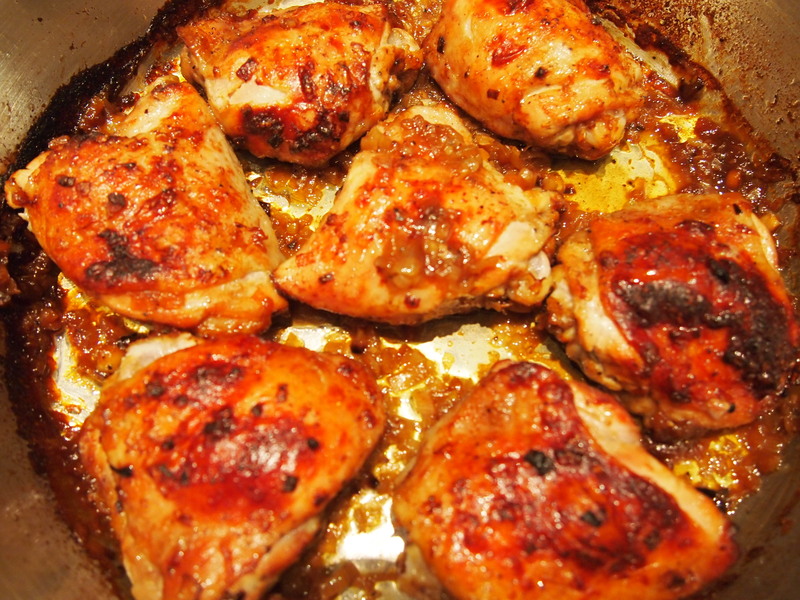 Turn the chicken pieces over basting them in the sauce and cook for 10 minutes skin side down. After 10 minutes turn them skin side up again and cook for a further 10 minutes until the skin is golden brown. There will be quite a bit of fat in the bottom of the pan and this needs to be skimmed off before serving. I loved the combination of flavors in this dish and it smelled so yummy cooking. I only used four chicken thighs so it didn’t get as browned as I would have liked. I should have adjusted the amount of oil, soy sauce and red wine vinegar for just four thighs. 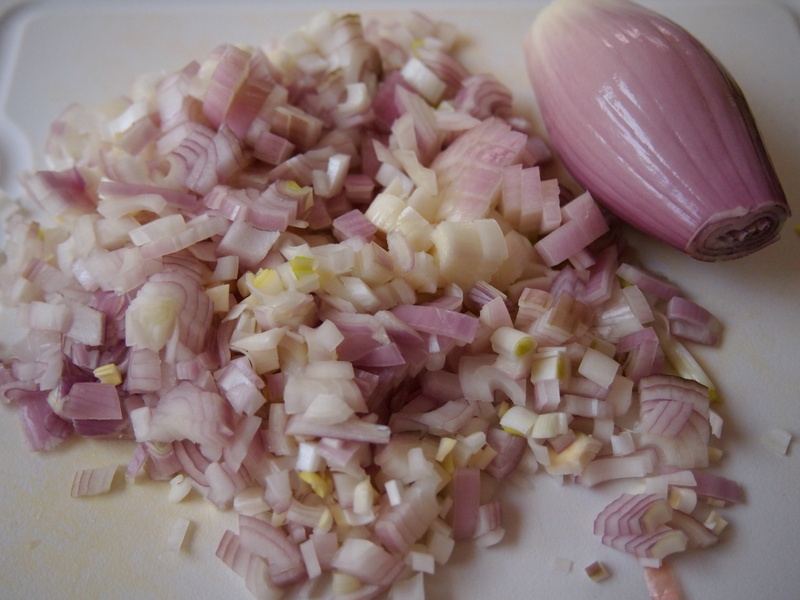 Oh, so that is what a shallot looks like… I look forward to trying more recipes. Thanks Shirin! Hi Cindy, Thanks for your comment and I’m so glad you enjoyed the dish. Yes, for 4 thighs it would’ve been better to halve the sauce ingredients. We make this a lot midweek as it’s so easy to throw together. Thanks again! !